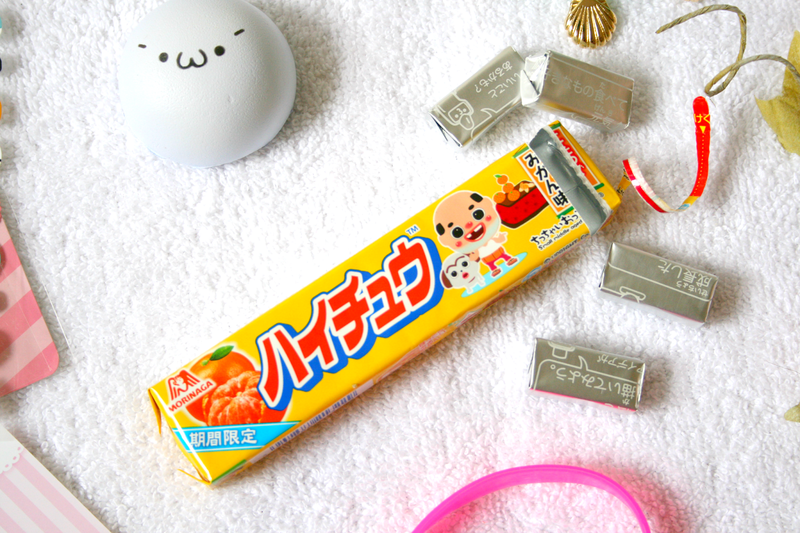 Getting a package through your post box full of cute little items puts a smile on everyones face, am I right!? When this cute little package from the lovely people over at Blippo.com arrived I was certainly smiling at all the adorable items it contained! 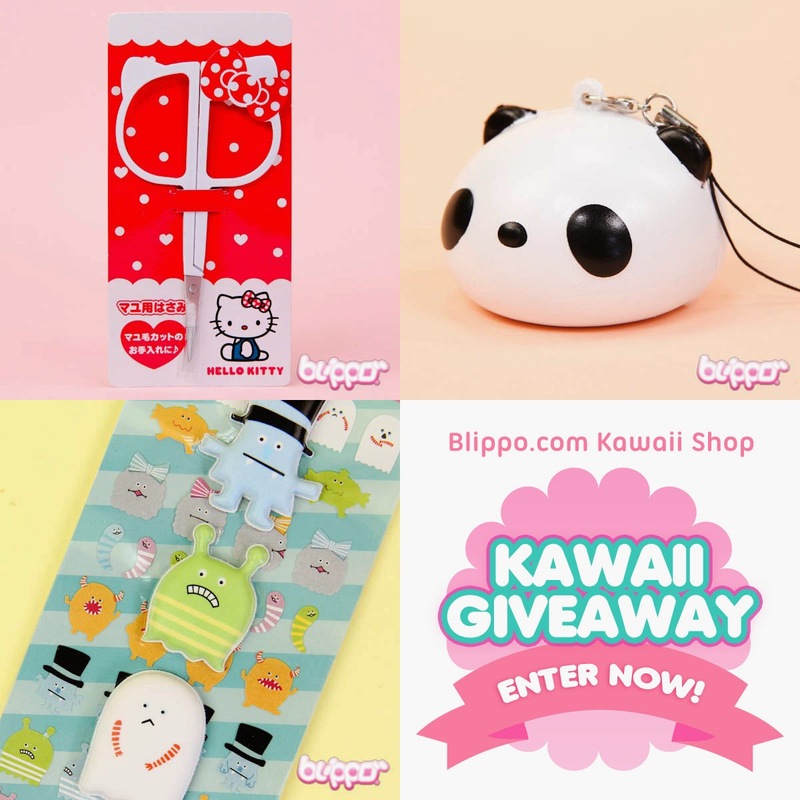 I have previously worked with Blippo last year when I reviewed one of their Kawaii Boxes (find review here) and after falling in love with their items I bought so many things off their site for Christmas presents. Especially for my brother because he's Pokemon mad, and everybody loved the pieces they got! So when they got in contact asking if I would like to review some of their items of course I agreed. 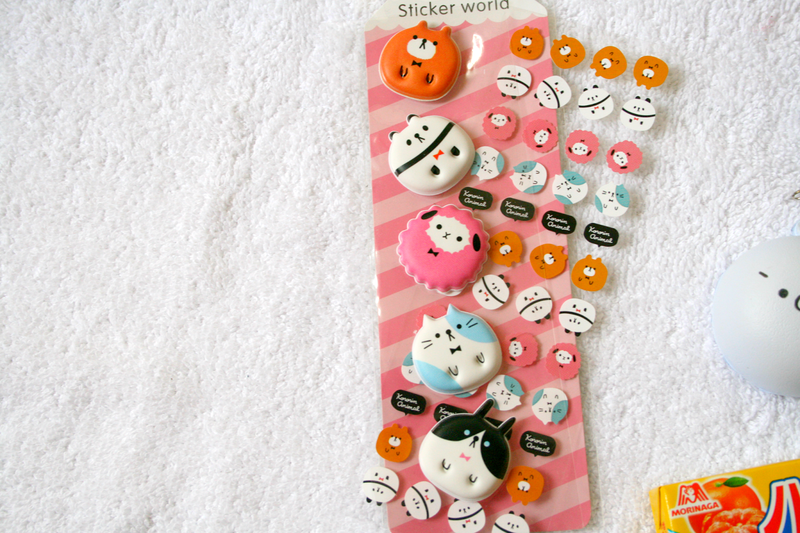 The first thing I received was an Animal Sticker Set* How cute are these stickers!? When I was looking at them in their packaging I thought it was just the five puffy animals but then behind it was another sheet of small stickers and I got even more excited, is it just me or do you just go crazy for stickers!? As soon as these photos were took they went straight onto my laptop! Also for this set of two sheets its only €1.82, I think I may just have to buy a few packets so I can stick them in my blogging notebook too! The next thing in the package was a Squishy Emoticon Charm* and not going to lie when I first opened this I'm pretty sure I sat on the floor for five minutes just squishing it. It just feels really cushiony and I'm pretty sure Sheldon could use it as a cushion but because of it's cute little face I've it hanging from my light switch. There are four different faces you can get on this Squishy and they only cost €2.28 each. 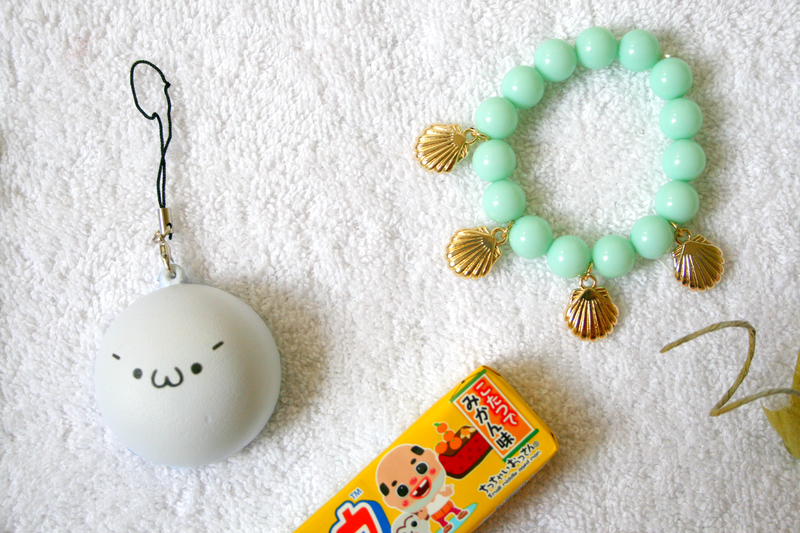 The next thing in my little package of adorable Kawaii items was a Pastel Shell Bracelet* in mint green and let's just say I am obsessed with this! It is so pretty and the colour is just so Spring/Summer appropriate. I also love the little gold shells hanging from it. It's great for stacking or just wearing on it's own as a statement bracelet. Again you can get this in four different colours and it will only set you back €3.46 and it's elasticated so it will fit everybody! Something else I find so lovely about ordering from the Blippo website is they always add in a cute 'Thank You' note along with a little thank you gift. The pink wristband pictured above was the little gift and it has the Blippo logo printed all the way around it. At Christmas I got a keyring with their logo on it along with some christmas themed stickers. Like how many companies do that!? Honestly such a lovely little gesture. Blippo.com is a website packed full of cute plushes, adorable stationary and Kawaii items. Not only is everything amazing quality but it's also really affordable and offer free shipping or tracked shipping for less than €3! The kind people over at Blippo have given a few items to giveaway to my lovely readers. 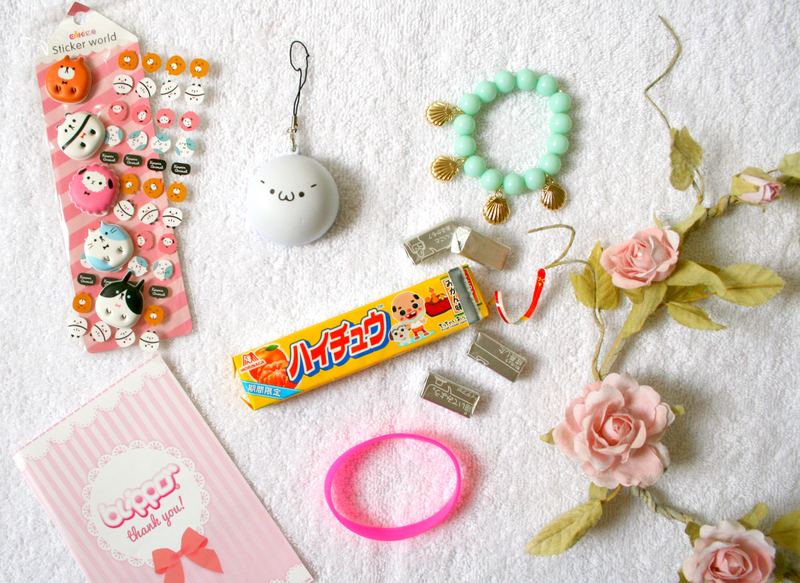 The lucky winner will receive the following adorable kawaii items! so if you'd like to be in with a chance of winning just enter below.